New York Times bestseller Jussi Adler-Olsen returns with the second book in his electrifying Department Q series. In The Keeper of Lost Causes, Jussi Adler-Olsen introduced Detective Carl Mørck, a deeply flawed, brilliant detective newly assigned to run Department Q, the home of Copenhagen’s coldest cases. The result wasn’t what Mørck—or readers—expected, but by the opening of Adler-Olsen’s shocking, fast-paced follow-up, Mørck is satisfied with the notion of picking up long-cold leads. So he’s naturally intrigued when a closed case lands on his desk: A brother and sister were brutally murdered two decades earlier, and one of the suspects—part of a group of privileged boarding-school students—confessed and was convicted. But once Mørck reopens the files, it becomes clear that all is not what it seems. Looking into the supposedly solved case leads him to Kimmie, a woman living on the streets, stealing to survive. Kimmie has mastered evading the police, but now they aren’t the only ones looking for her. Because Kimmie has secrets that certain influential individuals would kill to keep buried . . . as well as one of her own that could turn everything on its head. 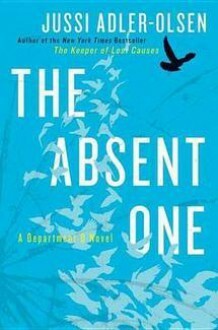 Every bit as pulse-pounding as the book that launched the series, The Absent One delivers further proof that Jussi Adler-Olsen is one of the world's premier thriller writers. http://LeseBlick.booklikes.com LeseBlick 4.0 Eine tolle Fortsetzung mit interessanten Charakteren! text Eine tolle Fortsetzung mit interessanten Charakteren!